Mother's Day Chocolates is rated 4.9 out of 5 by 18. Rated 5 out of 5 by Rawbuns88 from Awesome Gift Baskets My friend sent me a picture of them and said they were delicious. Will definitely be ordering again soon. Rated 5 out of 5 by DaisyDew from Made a friend very happy! I sent these chocolates to a friend who was recuperating after foot surgery. My friend was thrilled to receive them and said they were delicious. The box was delivered as promised to the correct address and on the correct date. Rated 4 out of 5 by DZap from Nice Gift I purchased this as a "pick me up" gift for a friend who's going through a tough time. The chocolates arrived in good shape, even though the shipping was delayed the trucking company. The receiver said the candy was good. Rated 5 out of 5 by J0327 from Chocolates This was a gift! The recipient seemed to really enjoy them! I would use this company again! The gift arrived right on time! Rated 5 out of 5 by AmandaC from Perfect ! Sent this to my boyfriend's family during a family loss. They all loved the surprise treat and he kept the personal note I was able to send along with it. It was great for something to put out for guests! Rated 5 out of 5 by TMP NH from Excellent gift Beautifully displayed and absolutely delicious gift! Rated 5 out of 5 by Devina from My friend and her husband love it! I bought it as a Christmas and New Year gift for my friend and husband to share and enjoy. Arrived on time and they loved it! Rated 5 out of 5 by KansasBuyer from Birthday Truffles Sent to a friend in the Boston area. The truffles arrived on his birthday and he said they were wonderful. I am very pleased with this company. 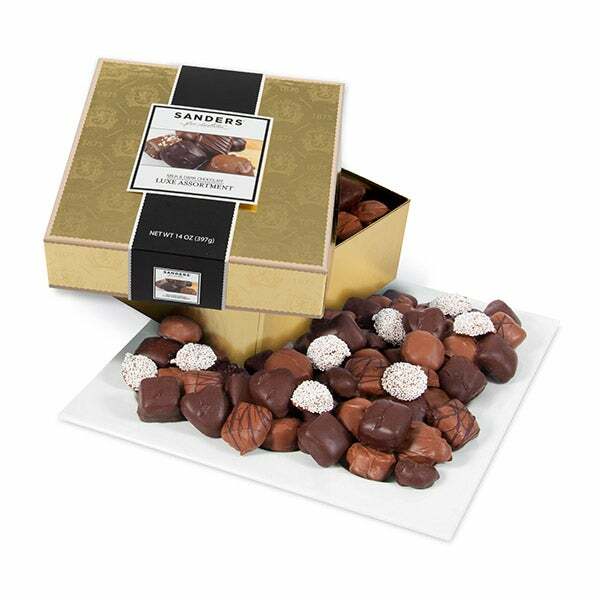 Making Mother's Day special is easy with these luxuriously smooth handcrafted chocolates. Each one is created by a skilled artisan and then gently dipped into a bath of rich gourmet milk or dark chocolate. With nearly 30 different chocolates to choose from, stunning gift that is sure to make Mother's Day this year unforgettable. 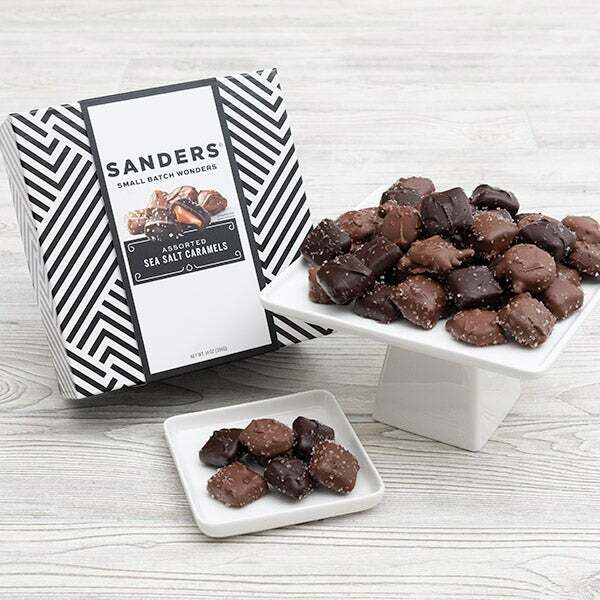 (30) Hand-Dipped Artisan Chocolates - 14 oz. - Flavors Include: Milk Chocolate Coconut Supremes, Milk Chocolate Almond Clusters, Milk Chocolate Latte Crème, Dark Chocolate Sea Salt Caramels, Dark Chocolate Raspberry Sorbet, Milk Chocolate English Toffee Drizzle, Dark Chocolate Swiss Fudge, Milk Chocolate Pecan Torties, and more!